Below you can view all the homes for sale in the Creek Hollow subdivision located in Woodstock Georgia. 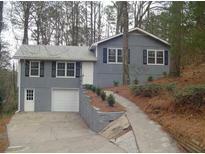 Listings in Creek Hollow are updated daily from data we receive from the Atlanta multiple listing service. To learn more about any of these homes or to receive custom notifications when a new property is listed for sale in Creek Hollow, give us a call at 404-998-4112. Large Family Rooms With Stone Fireplace, Separate Dining Room, Huge Beautiful Sunroom/Bonus Room Leads To Large Back Deck Overlooking Wooded Backyard, Drive-Under Garage...And More! 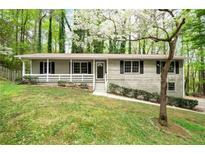 MLS#6536775. Robbins Realty. ***Wonderfully Renovated And Updated Split Level On Over 1/2 Acre Wooded Lot***New Roof**New Paint**New Flooring**New Light Fixtures**New A/C Unit**New Garage Door**Vaulted Greatroom W/ Fireplace & Ceiling Fan**Dining Area W/ New Ligth Fixture**Kitchen W/ New Granite Counter Tops, New Stainless Steel Appliances, New Sink & Faucet**Master Bath W/ New Granite Countertop, New Sink, New Faucet, New Vanity Light & Mirror**Great Location & Better Price**Don'T Miss This One** MLS#6122133. Kay Kim Realty.